Marcelo Krause is a professional nature and wildlife photographer living in Brazil. 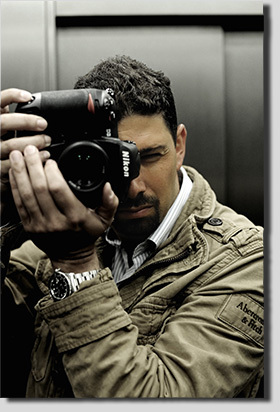 His photos have appeared in more than 50 articles for magazines such as Revista Mergulho, Scuba, Náutica, Iate Life, Terra da Gente, Nossa História, National Geographic Brasil, BBC Wildlife Magazine and many websites. In 2004 he published a photo book about the island of Fernando de Noronha (Brazil) and in 2012 a book portraying a variety of tropical marine life called Mares Tropicais. He has collaborated with pictures for different book titles and publishers. He took part in many photo exhibitions such as "Ecossistemas Aquáticos" organized by Itaipu Binacional, "Antes que a Natureza Acabe" organized by AFNATURA/IBAMA and "Brasil Submarino", a solo exhibition with more than 40 pictures. He is a member of AFNATURA, ARFOC and FOTOTECH. - 2016 - “Aquatic Life” finalist at BigPicture: Natural World Photography.